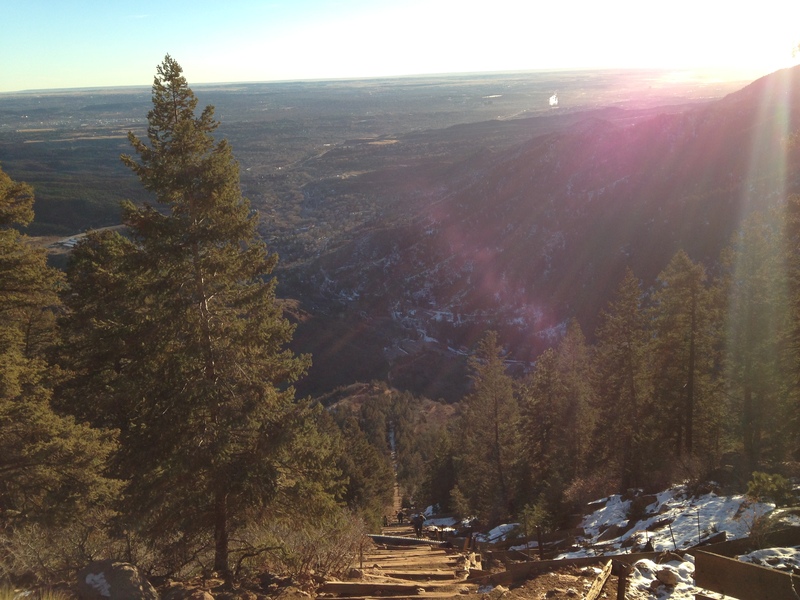 I was in Colorado Springs for the holidays and the day after Christmas I decided to challenge myself and hike the Manitou Springs Incline with my Sister-in-law and Brother-in-law. I had never heard of it until we got there and my Brother-in-law mentioned it while driving and showing us around. Manitou Springs is right by Colorado Springs and the Incline is a popular hike and fitness challenge. It’s an old railway and the hike up is the remains of the tracks. It’s about a one mile hike with a 2000 ft elevation gain, so it’s pretty much straight up. I thought it was an amazing hike! 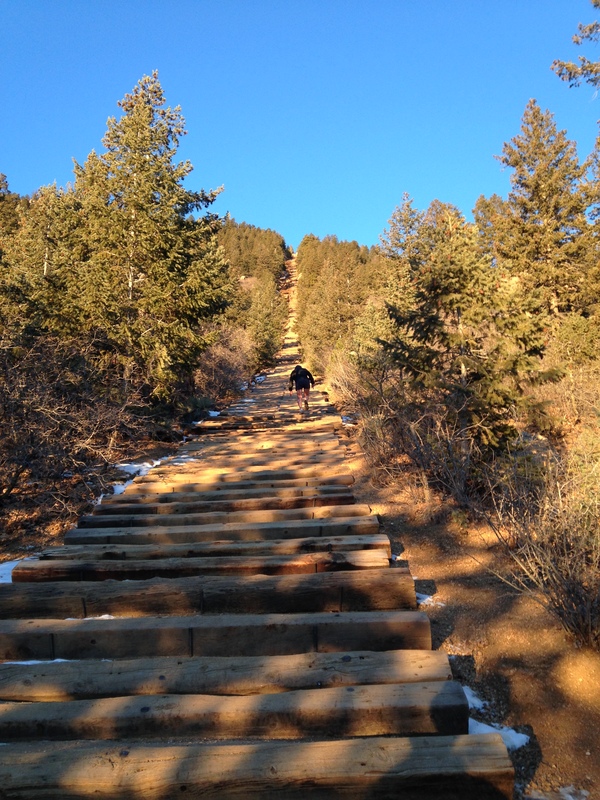 I got a great leg workout….all the stairs, or wooden tracks as you’ll see in the pictures below. It’s a hard hike! It’s pretty steep and some of the stairs are kind of high and there’s pipes you have to go over along the way. There’s even a bailout point about 2/3’s the way up where you can go down if you don’t want to continue to the top. I’m happy I made it to the top!! The views were awesome and the day I went seemed to be perfect! It’s worth it, I’d do it again! 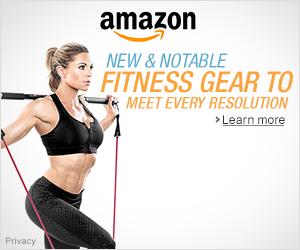 Awesome workout too!! The picture below is the bailout point. I see the top. Selfie. lol Christmas tree at the top. My Brother-in-law, Jeff at the top. Me at the top. My Sister-in-law at the top. All of us. 🙂 Heading back down a different way. If you look really close in the picture below, you can see people going up the incline.